Thorsun swimwear is looking for Spring/Summer 2019 product development and e-commerce operations interns to work in a unique role reporting directly to the brand’s founder. Thorsun swimwear is looking for Spring/Summer 2019 product development and e-commerce operations interns to work in a unique role reporting directly to the brand’s founder. We are a start-up brand made in New York, so the position will have the opportunity to see and affect all aspects of how the business functions and grows. Offering men’s and women’s swimwear, this position will provide the opportunity to contribute to the development and operation and of both lines. Current stockists include Bergdorf Goodman, Barneys New York, Mr. Porter, Matches Fashion, The Webster Miami and many other domestic and international doors. Must be a current student, preferably in the later years of your degree. To Apply: Please send your resume to Internships@thorsun.com, Please specify in the subject if you are more interested in e-commerce or product development. THORSUN is a men’s and women’s swimwear line, focusing on impeccable fit and original prints. For Winter/Spring 2019 we are looking for product development and ecommerce operations interns to work directly with the brand’s founder, assisting with the everyday functions of the business. 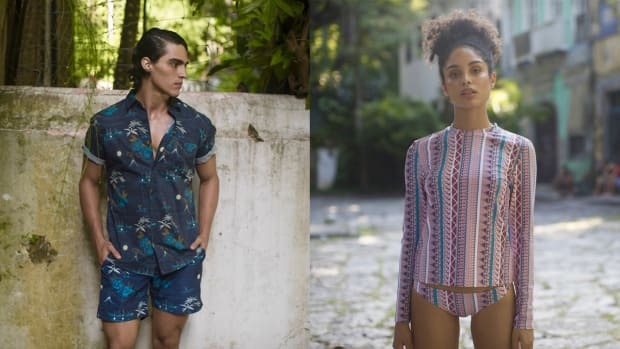 THORSUN is a men’s and women’s swimwear line, focusing on impeccable fit and original prints. For Fall/Winter 2018 we are looking for product development and ecommerce operations interns to work directly with the brand’s founder, assisting with the everyday functions of the business. Interns are an essential part of our team and we welcome students and recent graduates interested in learning about the fashion industry. This is an excellent opportunity to gain real-world work experience and develop skills.